Allotments in the town of Minchinhampton are provided by Minchinhampton Parish Council. 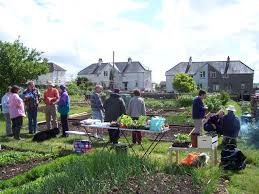 Currently there is a small waiting list for allotments, but they frequently become available. For further details please contact the Assistant Clerk at Minchinhampton Parish Council, The Trap House, West End, Minchinhampton (tel 01453 731186 or e-mail assistantclerk@minchinhampton-pc.gov.uk) or complete and return the form below to have your name added to the waiting list. If you would like to apply for an allotment, please click on the green link below and fill in the contact form. Please include your name, address, phone number and email address.